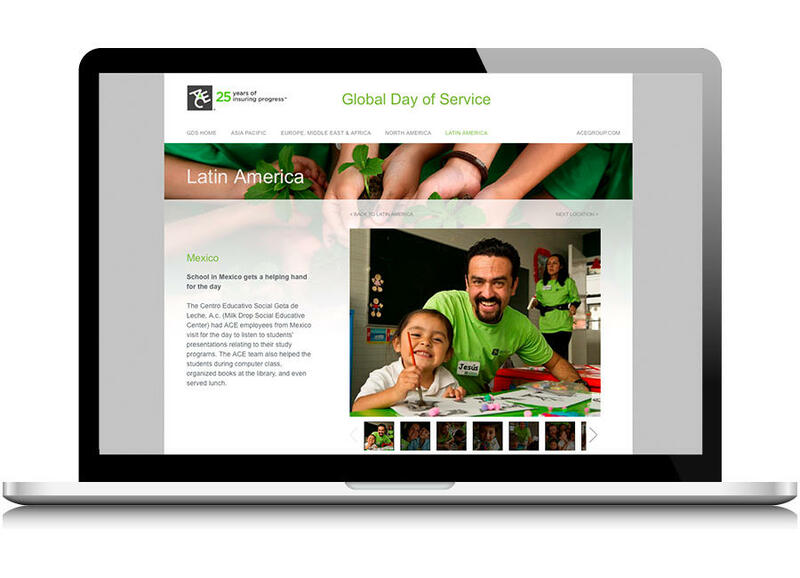 Timely presentation of a major corporate event to a global audience. 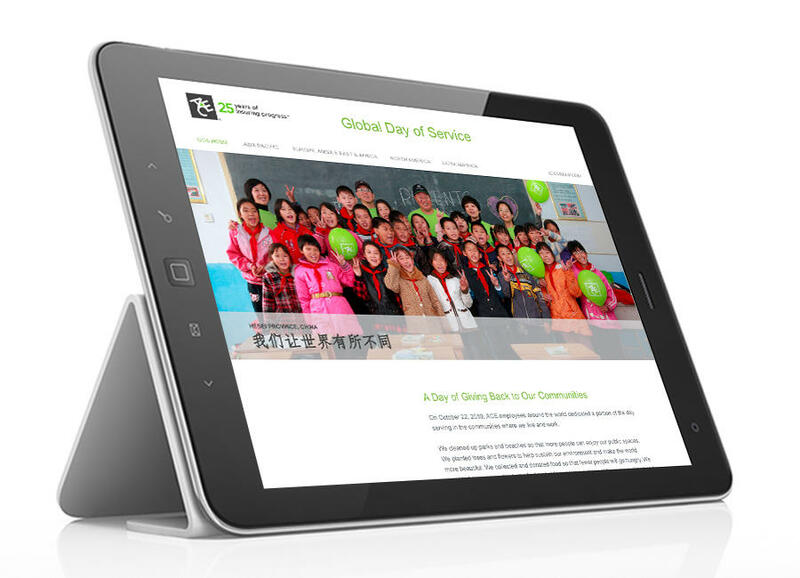 We created a database-driven site designed to celebrate a company-wide Global Day of Service for ACE Group. Coordinating thousands of images received immediately after the event – from more than 150 offices around the world – we launched the insurance giant’s 175-page site without a hitch a mere eight days after the event took place. Timing was key to capitalize on the wave of employee enthusiasm and tie into an internal communications campaign. Click here to visit the live site.